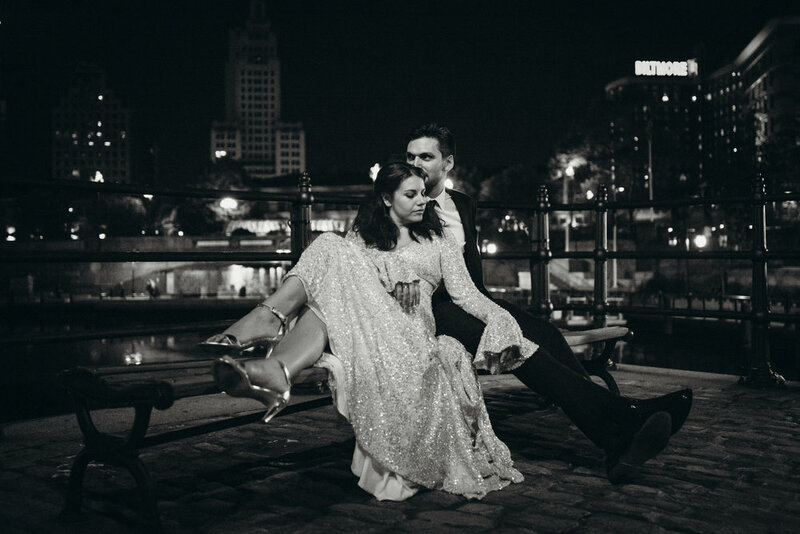 "Finding Annabelle for our wedding photographer truly made our engagement and wedding incredibly special and stress free. Michael and I had a very quick engagement, so the wedding planning process was a whirlwind. It was especially overwhelming for two people who are laid back (not your typical bridezilla/groomzilla). Annabelle connected with us right from the start. She immediately felt like a life-long friend and her energy matched ours perfectly. I knew our wedding would be a blast with her after our engagement session. It felt so easy and fun. She eased Mike’s anxiety about being in front of the camera and looking back at the photos you would never know how uncomfortable he originally felt. We decided to shoot in my favorite neighborhood, SoHo, and Annabelle came up with some creative and fun places to use, store-fronts, hotels, and in front of some really cool street art. Annabelle was so communicative before the wedding, we planned out exactly what we wanted and, as a seasoned pro, she gave some really helpful tips. The day of the wedding, we did another little photography adventure around Providence, shooting at some of our favorite landmarks. The group shots of family and friends went without a hitch and we even got to sneak away for a night time photo session (something I really wanted to do because of how sparkly my dress was). Our photography perfectly captures who we are as a couple, and feels like artwork. Finally, our photo book that Annabelle made is beautiful, it’s sitting on my coffee table now and I get so many compliments on how chic it is. Annabelle is amazing! She is officially our family photographer, and I can’t wait until we can hire her for some maternity/baby photo shoots! We are so grateful to have had Annabelle as part of our Big Day!"